Dear friends, I am delighted to remind you that this coming Sunday, 21 July, is our monthly interfaith service in Sydney. I’d love to see you there – and please always let me know you are a member of this Network. The services begin promptly at 3pm with tea and coffee afterwards. Details below (and don’t hesitate to forward them to friends). In this email you will also find details of festivals and retreats coming up in the next few months. When my writing life began in the early 1980s, these kinds of events were rare. Now there are many of them but I continue to prefer smaller, more intimate events…where writers can genuinely engage with readers, and vice versa. And predictably deeper retreats remain my top favourite, a source of peace and insight that sustains me more than I could say. It’s less than three months now to the October retreat at Mana, and a little later, the Writing in Kyoto retreat for writers at all levels. Further details via EVENTS – and if you are considering either please do act now. Have you been exploring and enjoying the UNIVERSAL HEART BOOK CLUB? This is both a “club” and a readers’ journal – certainly one where your comments and suggestions are particularly welcome. 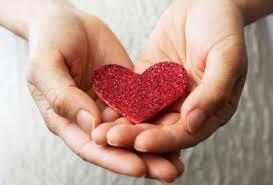 I began this extension of our UNIVERSAL HEART NETWORK exactly one year ago, with my co-host, Walter Mason. We now have nearly 100 articles up on the website – all beautifully illustrated and all discussing books and ideas that really are worth thinking about. Do visit regularly and if you want to check on past articles, just use the month-by-month index on the side. We post a video review most months – also written reviews and articles every month. My special Universal Heart Book Club book choice this month is a cookbook (which would certainly surprise anyone who knows my relative indifference to the “foody” culture!). 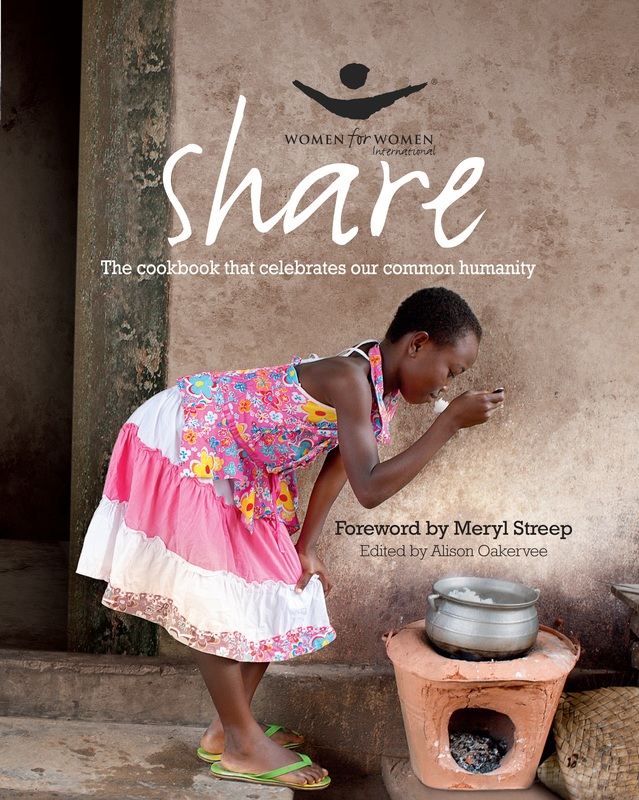 But this one is exceptional because it’s a gorgeous, manageable book of recipes PLUS (and far more importantly for me) it works as a powerful introduction to the WOMEN FOR WOMEN INTERNATIONAL organisation. I am so impressed by the work they do with women in war-torn and post-war countries. 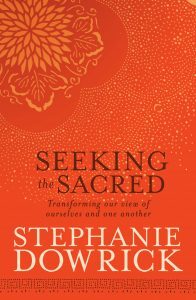 You can read my review and get more information (including local information) via this link http://www.universalheartbookclub.com/2013/07/stephanie-dowrick-is-delighted-to.html . I’ve also written an article this month on teaching writing in Kyoto. Some of you will be particularly interested in that – especially if you are considering “waking up” your creative life and would like to do it in an exquisite small city, and with good company. If you want to comment on any of the articles, but are not sure how to do it, then just use “Anonymous” – put your name in the text box if you wish – or check out Walter’s “How to post a comment” article. It really is easy to write a few lines, and that’s what makes it a “book club”: that you can read about truly worthwhile, sometimes inspirational books and also share views with one another. Please take a quiet moment to think who might benefit from your sharing of any part of this email. 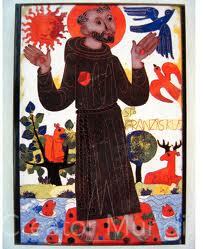 You will also find at the end of this email some beautiful words attributed to Francis of Assisi. Just scroll down. These services may meet your needs for a time of peace and renewal. We offer readings and reflections from the mystical or wisdom traditions with shared prayers and brief meditations, a short inspirational talk and always beautiful music. Interfaith services. 3rd Sundays, 3pm. Pitt Street Uniting Church, 264 Pitt Street, Sydney 2000. Nearest cross Street is Park. Some street parking available. Excellent public transport (nr Town Hall). We do ask you to arrive a little before 3pm if possible as we must start promptly. The service is about 75 minutes. You can also join the community singing with Sydney Sings director Liz Lecoanet at 1-15-2.15pm (before the service). A lovely treat.